We all have them. You know, that never-ending list of to-dos that linger from week to week. Between maintaining a career, exploring the Boston-Metro area, spending time with friends and family, and finding time to relax at home, chores are sometimes the last thing you want to do! The good news is that there’s practically no chore too big or too small that can’t be passed along to an extra set of helping hands. Follow along as we discuss the top apartment chores to outsource! 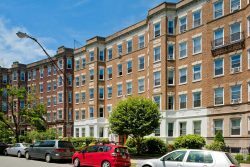 Don’t overlook these odds and ends that will help you make your decide where to apply for an apartment in Boston! If you had to choose only one chore to outsource from this list, there’s a good chance a housekeeper would be able to complete a good chunk of your weekly tasks. One of the best things about hiring a housekeeper is the flexibility of services. If you have a one bedroom apartment at Spring Hill, you may benefit from having your keeper stop in once every 2 weeks. For families with larger apartments, housekeeping services may prove to be impactful once or twice a week. Staying on top of what’s in your refrigerator and cabinets take a lot of time, energy, and planning. Rather than making a grocery list every week, searching for items at the store, and spending more time away from activities you enjoy, utilizing meal services is a great option! While take out and delivery is always an option, there are a variety of services that bring all the ingredients needed to make a home cooked meal – right to your beautiful kitchen at The Parkside and Cloverleaf Apartments! InstaCart – with delivery hours from 9am to 11pm, the team of InstaCart delivers items from local Whole Foods. This is perfect for those individuals who have a running grocery list, but would rather not go to the store! Plated – here’s how Plated works in four easy steps: sign up, pick your recipes, receive your weekly box, and finally, cook amazing meals! These guys give customers the ability to choose healthy, weekly meals at home, and from here, Plated delivers the perfect portion of ingredients needed. Bon appetit! 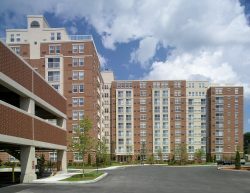 Cloverleaf Apartments offers high-rise luxury apartments within walking distance of Natick’s most popular areas. Find your new studio, one bedroom, or two bedroom apartment today. How many times have you raced home during your lunch hour to let Fido out? Unless you work from home or have a flexible schedule, making sure your dog receives enough play time and walks can be hard to juggle during the day. A solution is to hire a dog walker or pet sitting service. With a variety of Forest Properties featuring dog runs and bark parks, like Park Place Village and The Pines in New Hampshire, rest assured that Max is enjoying himself in fresh air when you’re away! For residents of Boston, Happy Paws offers both training and dog walking. From gathering to sorting, washing to drying, and folding to ironing, laundry is perhaps the most dreaded apartment chore! If you spend more time than you’d like doing the above, outsourcing your laundry is the perfect solution. From cleaning services to grocery store deliveries, we want to hear how you save time with weekly chores in your apartment. Share your ideas with us on Facebook!